frustrating and difficult to know what to do. Don’t worry ! 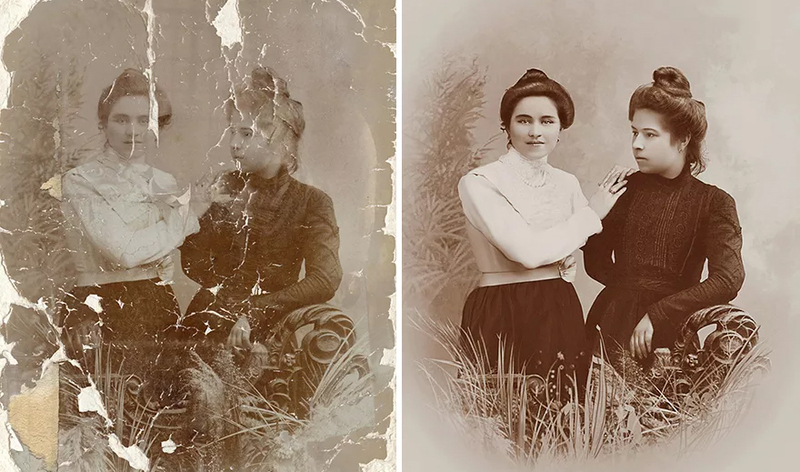 It’s possible to restore your picture and have it looking as good as new. at least 600 DPI to get a sharp image. Once scanned, you may be able to simply print your picture immediately onto photographic paper. even if the glass is smashed. Please note: In this situation, a high-resolution scan is essential for a successful photo restoration. What Causes a Photograph to Get Stuck to Glass? occur or happen quickly, so it’s worth putting in some precautions when framing your photographs. Reducing the exposure to moisture is a good way to avoid precious photographs getting stuck to glass. UV exposure is also helpful. damaged photos. Send us your high-resolution scan for a free quote.